You are here: Home > eCommerce Journal > What Kind of eBay Seller Are You? As in any ecosystem, members of the community depend upon one another. 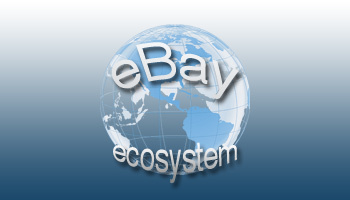 The eBay ecosystem is composed of buyers and sellers - without one or the other the system falters and all become extinct. As in any ecosystem, different classes of organisms compete for survival. The sellers in this ecosystem are comprised of occasional sellers, part time sellers, somewhat professional sellers, Powersellers and the Mega Conglomerate Super-sellers. The question is, what kind of eBay seller are you? I see eBay as a community, and as in every community there are different status levels, income levels, outlooks, thoughts and fears among those who participate in the community. The community as a whole seems cohesive from the outside, but when one wades into the inner workings of any community, a whole range of thoughts and ideas about the community ecosystem and its rules will become apparent. As eBay members and sellers, we must keep in mind the simple facts of life in any community. Some rules work fine for some members, yet the same rules are looked upon as a poison by other members. As a community grows and becomes larger, the dominant forces gain more control. The rules are set by those people and as in any community, those people should have the greater good of all of the community members in mind when creating new rules or laws or fees. Do you think the powerful members of this eBay community have the entire ecosystem's health in mind when they undertake the task of changing how the community operates? If you believe in the people who are holding the reigns and think they have our best interests at heart, try to take a step back and see what kind of real effect any new rule will have on the entire ecosystem, not just your small part. If you do not believe in the idea that the people in charge of this community have the greater good in mind when setting the rules, then it may be time to find another community. These are the harsh realities of the community in which we live and do business in every day. Times change, life goes on. No one ever said eBay would be a fixed price deal. No one ever promised it would always stay the same. You do not have to agree, but you should think about putting the energy you have wasted on complaining about changes to work in a new and creative way. Find a new marketplace, adjust to the changes and use eBay in a different way. eBay is simply a tool - nothing more. It is a very large and somewhat costly tool if you do not know how to use it correctly. But in the hands of a skilled craftsman, even the most expensive tools can save money when compared to using cheap tools which waste time or energy. What kind of eBay seller are you? One who uses cheap tools or a real craftsman who knows how to make expensive tools save money? 4 Responses to What Kind of eBay Seller Are You? This is actually great insight. 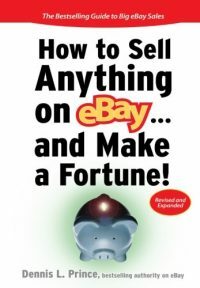 eBay is a tool and nothing more – yet so many sellers see eBay AS their business and they leave themselves completely at the mercy of it. Back in the old days, anyone could do well on eBay with anything almost. 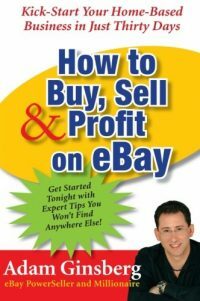 Now, most people struggle to make decent money and eBay becomes a costly expense for them and largely because many do not really plan to profit. 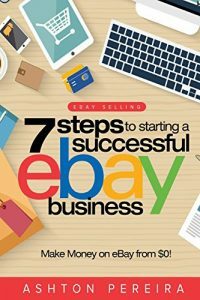 My bottom line take and tip on this is instead of thinking or eBay AS your business, think of USING eBay to BUILD your business. Your business is not eBay, your business is what you do or sell and how you do it with your customers!